Our story begins with the Thorlaksons and a set of values. This family and these values created Tolko, and three generations later, both are still integral parts of the way we conduct ourselves. It is because of these values that we have been able to face adversity and succeed, and why we are committed to sharing that success with those around us. Thorlakur Thorlakson and Ingibjorg Jahannsdottir leave Iceland for Canada. Travelling alone, the two meet in Winnipeg, fall in love, and marry. Following a short stay in Winnipeg, they move to the grasslands above Vernon, BC and start a family farm. 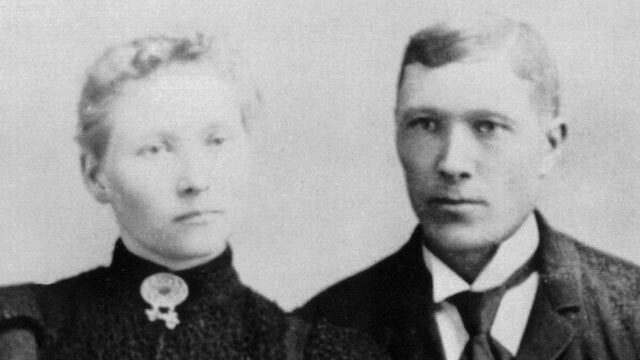 Thorlakur and Ingibgjorg have six children, two daughters and four sons, including Tolko industries founder Harold Thorlakson. Thorlakur and Ingibjorg raise their children with a strong sense of fairness and teach them that hard work and an entrepreneurial spirit are the path to a brighter future. A grown Harold logs close to home in the Okanagan while his younger brother Joe moves around the region with a portable sawmill, cutting railway ties and clearing government timber for hydro lines in the Monashee Mountains. Joe eventually moves his operation to Lavington on property leased from the Jeffers family. Harold, Joe, and Joe’s son Harold M. Thorlakson establish a new business on the Lavington property. They contract Theo Fandrich, who brings his self-built, portable planer to the site, to do custom building. Realizing there isn’t enough work to sustain multiple families, Joe and his son return to their portable sawmill operation and Harold purchases their shares of the business. With this change, Harold becomes sole proprietor of Lavington Planer Mill (LPM) and the business that would become Tolko Industries Ltd. is born. With the business growing and manufacturing its own lumber thanks to the purchase of a planer from Hoover Sawmills Ltd., Harold incorporates on August 21, 1961. Doug, Harold’s first-born son, joins him at the business. 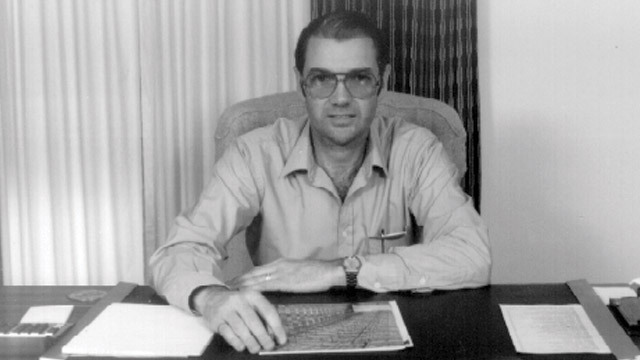 Doug grew up learning the business from Harold, but spent his early working years with some of the interior’s industry-leading organizations at the time, including: Kelowna Grower’s Exchange, S&K Plywood of S.M Simpson Ltd., North Lake Lumber in Beaverdell, and the B.C. Forest Service. Upon rejoining the business, Doug works in the mill and drives trucks before taking over the forestry side of the business. Harold’s youngest son, James A. Thorlakson (who goes by Al), returns to the business to run the manufacturing operations. Before returning, Al attended UBC and obtained his Bachelor of Applied Science in Engineering. He then worked as a Plant Engineer for Weldwood in Quesnel. While at Weldwood, he obtained his Professional Engineering designation. With the help of a core group of employees; including Bruce Jeffers, the mill’s first employee; Derry Ewart, Harold’s brother-in-law and planerman; and Jake Wierenga, a sawyer with a strategic mindset, Harold establishes a permanent sawmill structure on the Lavington planer site. Harold’s second son, John, rejoins the business to manage the mill’s sales business. John also attended UBC and obtained his Bachelor of Applied Science in Engineering. He followed this up with a Master’s in Mechanical Engineering from McGill University. John worked in the oil and gas industry and achieved his Professional Engineer designation before returning to work alongside his father and brothers. With all three boys back in the business, the company begins to gather steam. Lavington Planer Mill Ltd. makes its first major acquisition and doubles in size with the purchase of Hoover Sawmills Ltd.
Based upon family discussions, the company gets a new name: Tolko Industries Ltd. 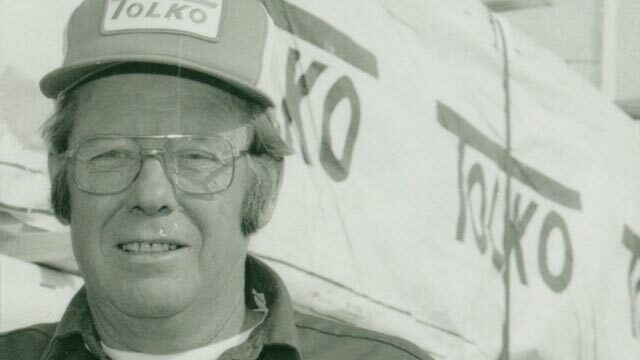 Many people wonder where "Tolko" comes from – it is composed of every second letter of the Thorlakson name. Fire destroys the Hoover sawmill operation and the company consolidates both locations at Lavington. A second sawmill line and a graveyard shift are added to help accommodate the growth. Harold Thorlakson, seeing the business was doing well in the hands of his sons, turns control of the business over to them. Matriarch Jemma Thorlakson passes away leaving behind three boys who have grown up to understand the value of an education and working hard to create a better future. Jemma, a nurse and strong, successful career woman in her own right, had used her education to support Harold and the family while they built their dream. She made sure the boys understood the family values and embedded in them a strong vision for the company as a family business. Founder and patriarch Harold Thorlakson suffers a stroke and passes away. Harold’s legacy as a tough but fair businessman whose handshake was his word, who did what he said he would do, lives on to this day. Tolko purchases Ernst Forest Products in Quesnel. Tolko invests in manufacturing improvements and changes the division’s name to Quest Wood. With an eye to future growth, Tolko initiates its strategic planning process. 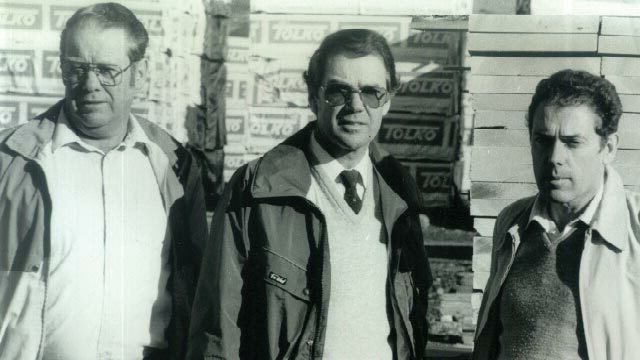 A mission is defined and the five Thorlakson family principles Harold and Jemma had applied to the daily operation of the business are formally stated and codified as the Tolko values of: Respect, Integrity, Open Communication, Profit, and Progressiveness. Tolko purchases Balco Industries, whose head office and main manufacturing plant are located in Heffley Creek, BC. The company also has operations in Merritt and Louis Creek. The acquisition includes the Heffley Creek plywood plant, launching Tolko into the plywood business – its first step into product diversification. 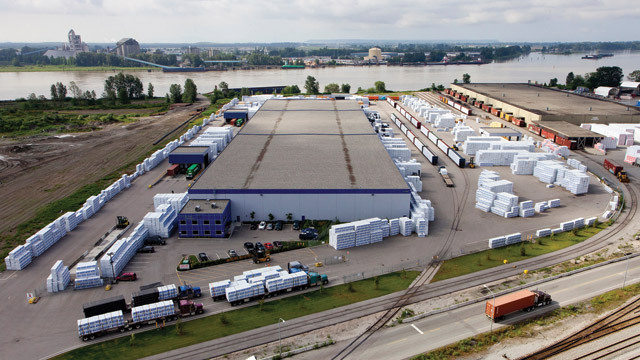 Tolko purchases Nova Lumber, located near North Vancouver on Burrard Inlet. The division is known as Inlet Cedar and a new product, Tolko Topflight, is introduced. Inlet Cedar operates for nearly 10 years before its closure for business reasons. Product and geographic diversification become fundamental to Tolko’s strategic direction. Tolko applies to construct an Oriented Strand Board (OSB) mill in the town of High Prairie, AB. Tolko’s High Prairie Division, the first of what would become known as third generation OSB mills, delivers its first load of OSB to customers. 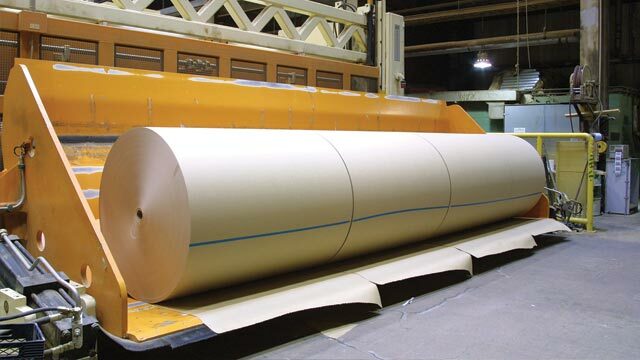 Tolko moves into the kraft paper manufacturing and sales arena with the purchase of Repap Manitoba. Tolko produces its first Sustainability Report. In the report, the company introduces its Environmental and Aboriginal Policies and formally states its Forest Management Principles. The company also reinforces its commitment to "the well-being of future generations through responsible environmental performance." 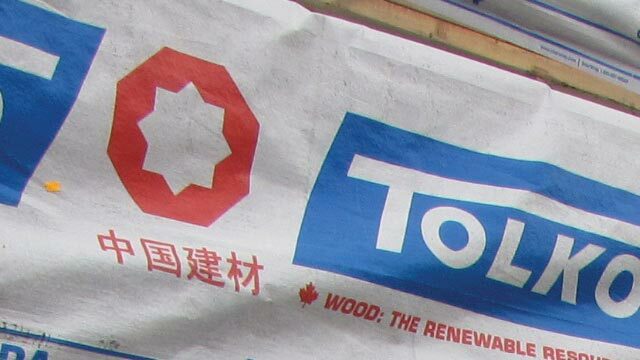 Tolko wraps up its acquisition activities of the 1990s with the purchase of another sawmill in High Level, AB. The operation is one of the largest lumber producers in the province and becomes known as the High Level Lumber Division. Tolko announces its intent to construct a world-class OSB mill near Meadow Lake, Saskatchewan. The mill is the result of five years of research and planning. Tolko Marketing and Sales Ltd. is launched to house Tolko’s marketing, sales, and transportation functions. Following two years of construction, Meadow Lake OSB Limited Partnership begins production. In addition to the advanced technology and operational capacity, the mill is a milestone in Tolko’s relations with Aboriginal communities. Partners in the project include Meadow Lake Tribal Council, which represents nine First Nations communities, Northwest Communities Holdings Ltd., which represents seven Metis communities, and provincial government agency Investment Saskatchewan. While great things are happening in Meadow Lake, tragedy strikes in British Columbia as wildfires rage across the province. On July 30, 2003, despite the heroic efforts of staff on site, the McClure-Barriere fire consumes Tolko’s Louis Creek sawmill. After a thorough analysis, the difficult decision is made to not rebuild. Tolko makes two purchases. 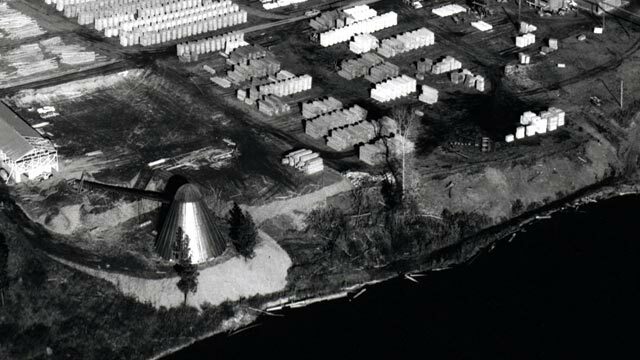 The first is an OSB mill in Slave Lake, AB, formerly a Weyerhaeuser mill. Tolko uses this purchase to expand their panel business and enhance their wood supply in Alberta. 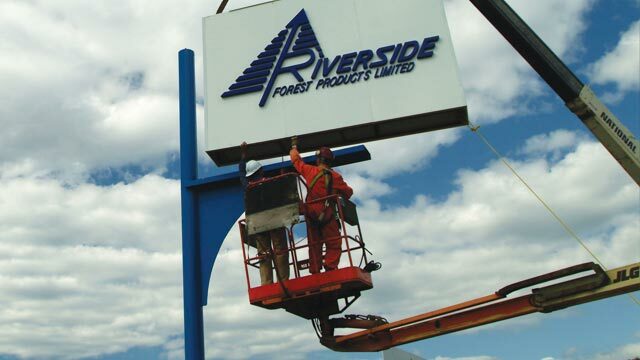 Later this same year, Tolko makes the largest acquisition in its history with the purchase of B.C.-based Riverside Forest Products. Overnight, the company acquires 2,500 employees and eight primary manufacturing divisions. 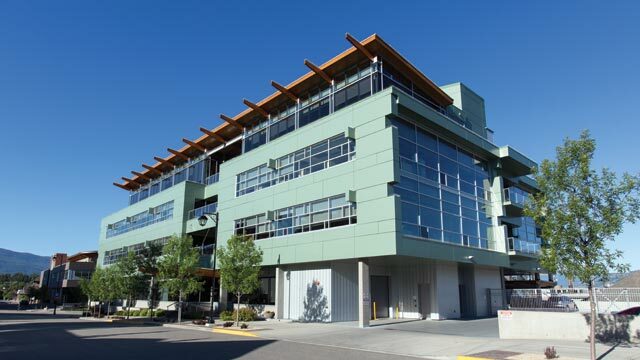 The growing company needs a headquarters that reflects its commitment to a green future, so Tolko starts planning for a new corporate headquarters in Vernon, BC. In true family values style, employees are asked for their input throughout the planning process. In a demonstration of Tolko’s commitment to its values and policies, Tolko wins both the Energy Conservation Award and a B.C. Export Award. An economic downturn challenges Tolko and the industry to expand their horizons. Just as things are looking brightest with Tolko opening its new corporate office in downtown Vernon, the economy collapses. The downturn coincides with the devastating invasion of the mountain pine beetle, which decimates the forests of British Columbia. To deal with these situations, Tolko consolidates its holdings and curtails operations at its High Prairie OSB location. As the economic downturn shows no signs of relenting, Tolko is forced to close its Creekside Mill and mothball Athabasca Engineered Wood Products. In an effort to minimize the impact of the downturn, Tolko Marketing and Sales Ltd. begins to explore international markets, particularly China. Before the end of the downturn, these will come to represent nearly 50% of Tolko’s product market. As one era ends, a new vision for the future begins to emerge. In a monumental changing of the tides, Al Thorlakson moves into the Executive Chairman role for the company while his son, Brad, assumes the role of President and CEO. Tolko introduces its new strategic plan “Join the Journey.” A Balanced Scorecard approach, this strategy is rolled out to employees across the company. Under Brad’s leadership, the company continues to focus on international markets as the downturn continues to negatively impact domestic housing starts and keeps the price of lumber and other products at an all-time low. To demonstrate his belief in the potential of these markets, Brad commissions the Lulu Island Terminal. The reload is designed as an all-inclusive warehousing and transportation solution that can meet any company’s export requirements. Tolko also wins another B.C. Export Award. 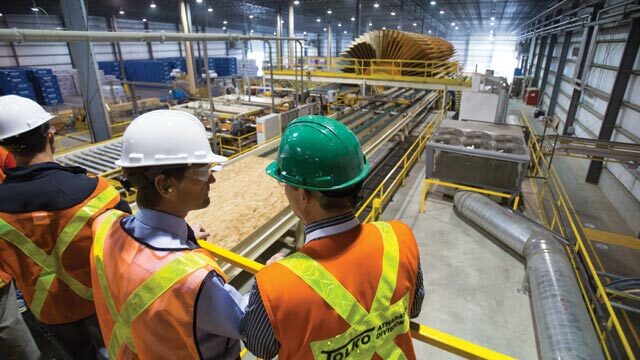 With the economic recovery underway, Tolko restarts its Engineered Wood Products and OSB mill in Athabasca. This state-of-the-art facility has the longest continuous press in North America and produces its first board by December 2014. The company also introduces its new strategic plan, “Good to Great,” which will take the company through to 2018. As the vision for the future begins to take hold, Tolko partners with Pinnacle Renewable Energy and begins construction on a state-of-the-art pellet plant at its Lavington Division. The plant uses new technology to dry the chips and dust for pellets, lowering emissions and improving overall air quality for the mill. The plant represents a $47 million investment and creates an additional 25 jobs in the community. Sometimes you have to get smaller to grow, so Tolko makes the difficult decision to sell Manitoba Kraft Paper Division after nineteen years in the community. Despite many attempts and innovative ideas, the business is not a viable interest for Tolko and is sold to a U.S. buyer with little job or benefits lost. 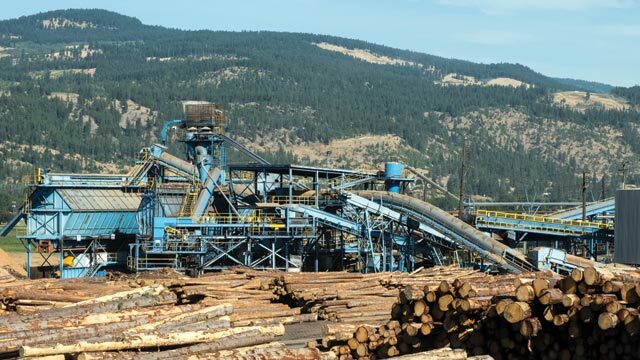 Later this same year, Tolko is faced with another hard decision as it closes its Nicola Lumber Division because of shrinking log supply due to reductions to the BC annual allowable cut and the impact of the mountain pine beetle. Buoyed by record high Oriented Strand Board markets, Tolko reopens its shuttered OSB mill in High Prairie, AB. With input and support from the community, as well as new and former employees, the mill produces its first board before the end of the year. In November, tragedy strikes and a fire closes Tolko’s Lakeview operation in Williams Lake. No one is injured, and the mill will be rebuilt. The spirit in Williams Lake is dampened but not down as employees look forward to the mill reopening in 2019. Tolko moves into the U.S. Partnering with family-owned Hunt Forest Products, Tolko enters a joint venture to construct a state-of-the-art sawmill near Urania, LA. 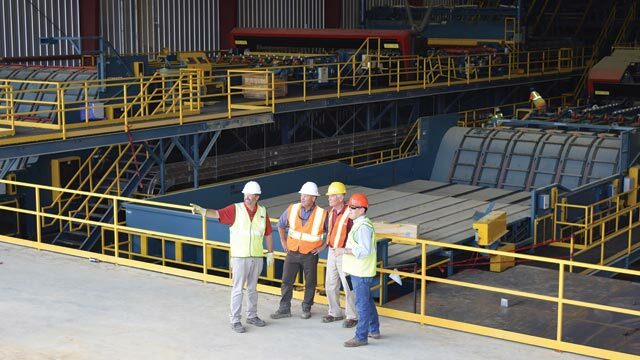 The mill will consume approximately 850,000 tons of timber annually, produce 200 million board feet per year, and have three continuous dry kilns and a planer facility. 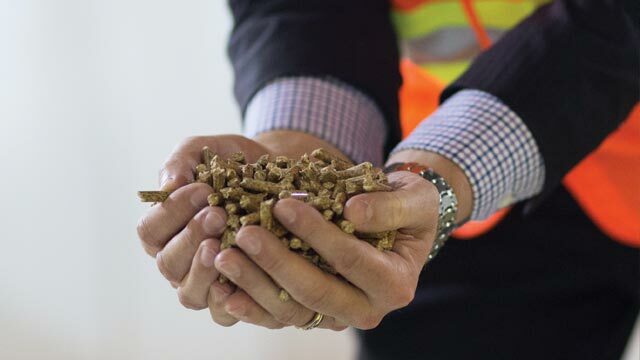 To ensure the facility continues Tolko’s commitment to green operations, all wood chips, sawdust, planer shavings, and hog fuel will go to Drax Biomass, which operates a 450,000-ton wood pellet facility adjacent to the sawmill. The mill begins operations in December. 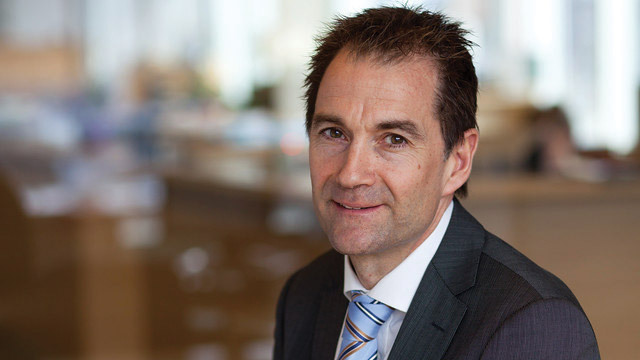 Building on the hits and misses of the “Good to Great” strategy, the Tolko Leadership Team rolls out “The Power of Great,” a five-year strategy designed to help the company achieve its strategic vision. In November, Tolko Industries and Southeastern Timber Products announce a 50-50 joint-venture partnership in a lumber mill in Ackerman, MS. The mill, which employs 150 people, is rebranded as Southeastern Timber Products LLC, an STP-Tolko Partnership.